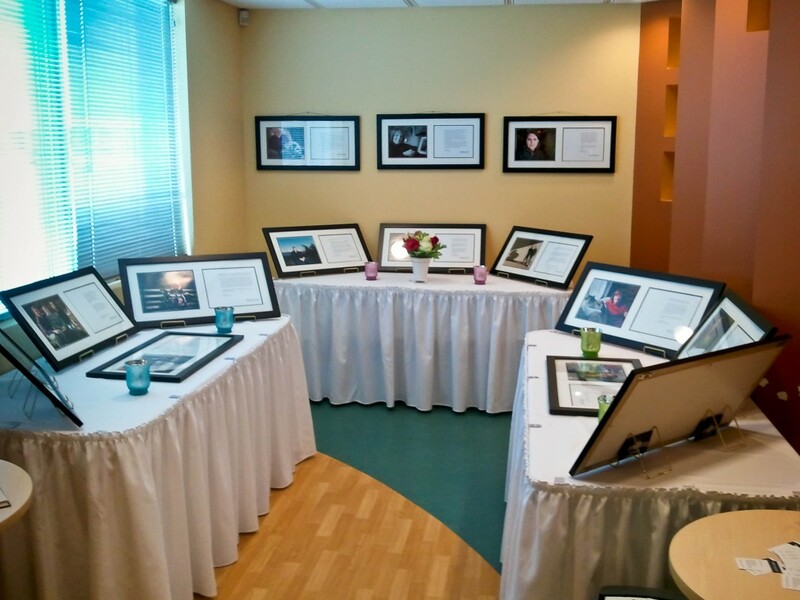 The Collateral Damage Project (interim) exhibit has been on display in New Glasgow Nova Scotia in the lobby of the Community Health Centre in celebration of Mental Health Week. I would like to personally invite everyone who has viewed the exhibit to share their comments here. NEW GLASGOW – Throughout Mental Health Week, which runs from May 7-11, the Department of Mental Health Services will have displays set up in the cafeteria of the Aberdeen Hospital site or the lobby of the Community Health Centre site with information on programs, services and various mental health topics. In the lobby of the Community Health Centre, the display Collateral Damage will be set up. This display is the work of Scott Chisholm, who lost his father to suicide as a teen. Now a father himself, he has travelled throughout Canada to draw attention to the impact of suicide. The display features a dozen photos and stories of those left behind by a loved one’s death. Mental Health Services will be in county high schools during the week to deliver a panel presentation, “Psychosis: Up Close and Personal,” featuring three individuals living with psychosis. It’s hoped young people will benefit from the information aimed at helping them to recognize mental illness early in themselves or their peers and know when to seek help. The week will wrap up with the third annual “Walk for Mental Wellness” on May 11, starting at 10:30 a.m. from Carmichael Park. The walk aims to bring mental health “out of the shadows” in Pictou County! Thank you to everyone in Pictou County Nova Scotia for sharing the Collateral Damage Project exhibit and continuing the dialogue on suicide.